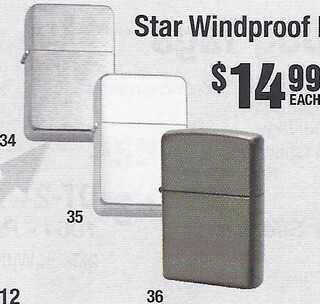 Star Windproof Lighter...polished chrome finish. Pick any small hat pin at not extra charge and we'll mount it for you. In the comment section upon checkout, please type pin number to mount. This is Style 35. This product was added to our catalog on Tuesday 13 March, 2012.